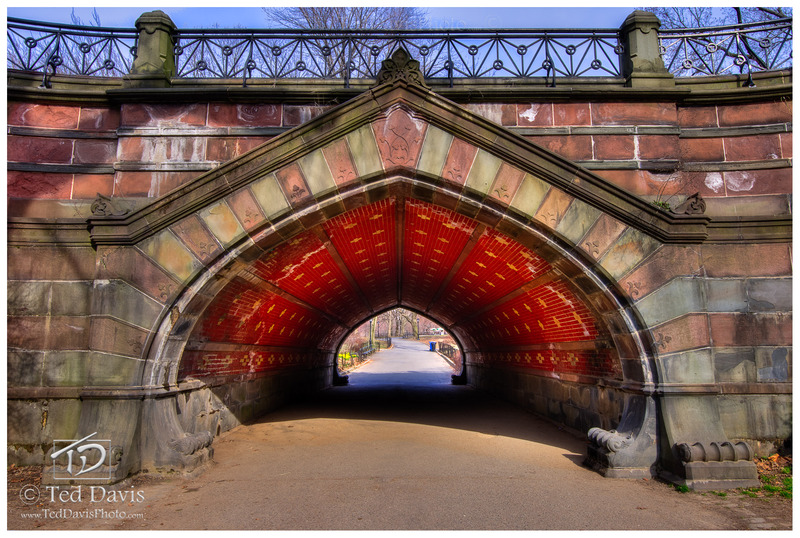 As I peered through the tiled archway in New York City's Central Park near the boat pond, I couldnâ€™t help but imagine this same scene centuries in the past. The nostalgia of previous generations hit me here the hardest as I explored one of the worldâ€™s largest city parks. Setting up, I thought I had a fantastic Black & White image, until the gorgeous colors of the tile spoke to me. I knew I had to capture those red and gold tiles hidden from the sun for ages. Photo © copyright by Ted Davis.